JS Medical Billing services fees are based on a percentage of the amount we collect both from insurance and patients. Designed to Meet Your Needs! 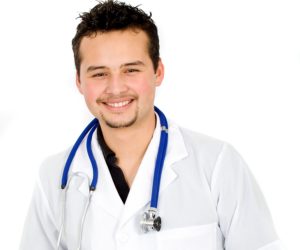 Some physicians have more specialized needs and prefer a more customized package of services. Our Individualized Medical Billing Service is a good choice for you if you don’t meet the criteria for our Standard Services. For example, pre-authorization, benefit verification, insurance policies, referrals, co-pays, deductibles, coding, contract pricing, etc. As a medical specialist, you must obtain and track authorizations for services and it is a crucial part of the specialists billing process. JS Medical Billing comprehensive system can obtain and track authorizations and alert the office when the number of sessions remaining is getting low or the authorization is about to expire. Every new patient visit must be completely verified to get paid for services the first time. We will do complete benefit verification prior to the first visit. After you record the intake information from a new patient, you should fax the demographics and insurance information to us. Within 3-4 business hours, we will fax or email it back to you. All of the services under this plan are individually priced, depending on which services best meet your needs of the practice. These prices are competitive, and in some cases may even be lower than our Standard Services.